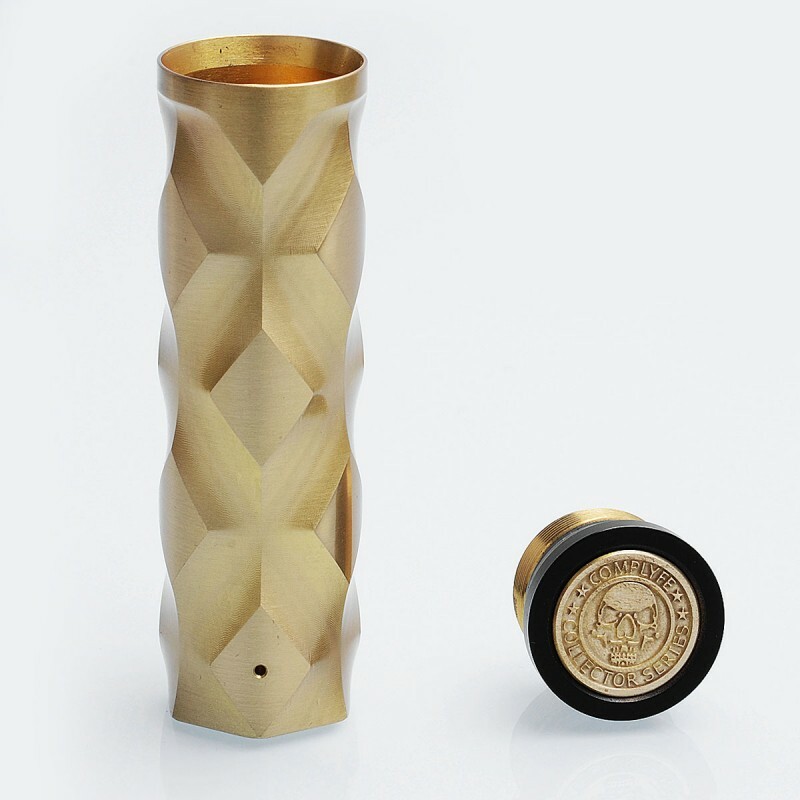 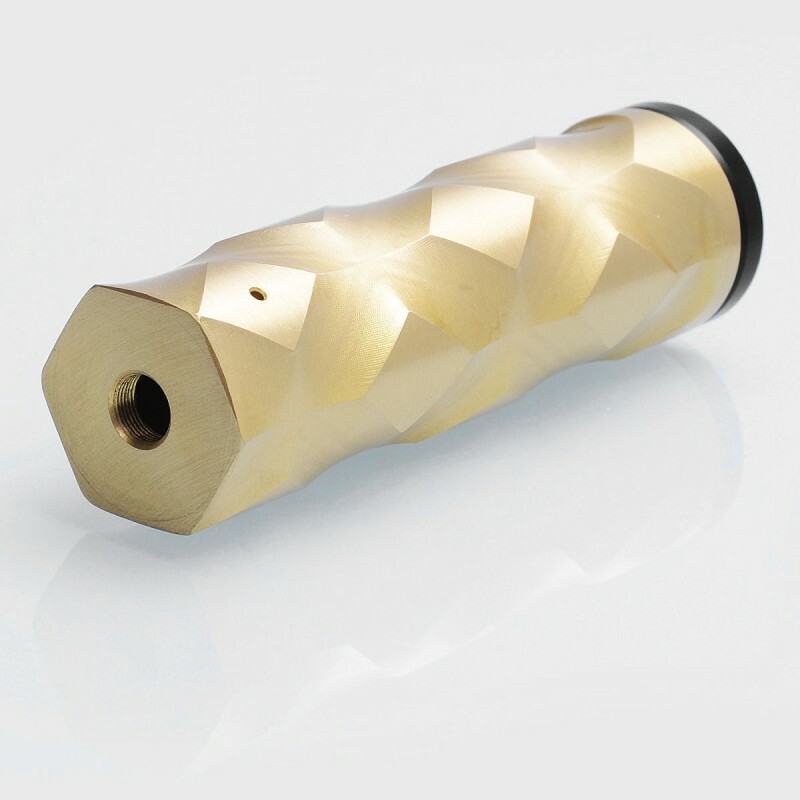 The Double Cross Style Mechanical Mod is made from brass and powered by 1 x 18650 battery. 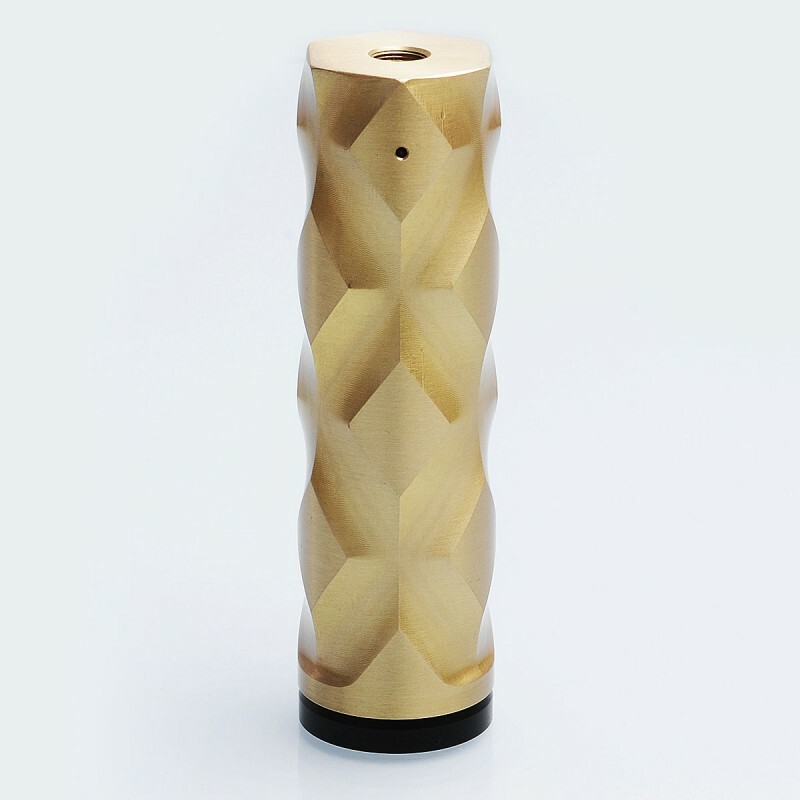 The fixed 510 hybrid top is machined into the mod for enhanced conductivity. There are 4 vent holes on the top of the Double Cross mod.